Review: When it was first released on CD earlier in the year, Inspirations caused quite a stir. 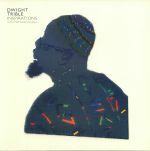 Now available on wax for the first time, the album sees Los Angeles jazz singer Dwight Trible cover some of the songs and artists that shaped his formative musical years, with a little help from Manchester-based bandleader, arranger and trumpeter Matthew Halsall. Highlights include a rousing, near riotous cover of Nina Simone favourite "Feeling Good", a spiritual, harp-laden rendition of Hal David and Burt Bacharach's "What The World Needs Now is Love" - a radical departure from the original, featuring one of Trible's greatest vocal performances to date - and a poignant, heartfelt version of Leroy Hutson and Donny Hathaway's still relevant "Tryin' Times". Review: A collaborator alongside Jason Swinscoe in the Cinematic Orchestra, Phil France is responsible for some of the most beautiful music created in recent times. Co-writing and producing on the albums Everyday, Man With a Movie Camera, Ma Fleur and the triple award winning soundtrack for The Crimson Wing nature documentary, France's skills have always extended beyond his basslines. Relocating from London to West Yorkshire, France is said to have taught himself how to swim in a local spa built in the former home of Charles Waterton, a 19th-century naturalist and explorer. The recording of the strings and drums was done in Amsterdam and Manchester. Originally released in 2013, the album may not have received all the recognition it deserved then; but this reissue on Gondwana should help spread the word of such a wonderful and evocative album. Review: Following the re-release of his 2013 album The Swimmer, Cinematic Orchestra's Phil France provides the delicate parts of his modern classic piano composition "Joy Of Brass" to card-carrying Gondwana fan Mr Scruff and gets two exceptional remixes in return: the main remix shuffles with a soft, slow lolloping jack and some beautiful yearning chords soaring over the top in an almost Nordic cosmic style. His Bumpy Dub, meanwhile, taps into the bruk renaissance with a smoky halftime break and a bassline that borders on KOAN territory. In a nutshell? Scruffy's turned in two blinders here. Review: Before landing a privileged spot on the legendary Blue Note label, Manchester's GoGo Penguin had released a string of LPs, through Gondwana Records, that have become notoriously difficult to find. Moreover, they are respected by the very best of the contemporary DJs, including Worldwide FM's ever-present Gilles Peterson. This deluxe edition of V2.0, the ensemble's second studio album, will provide you both with a decently-priced copy of the vinyl edition, along with plenty of added bonus takes and interludes that were missing from the original cut. Thanks to subtle waves of electronica and improvisation, GoGo Penguin are putting the "contemporary" into jazz and, along with that, providing us with an LP that is changing conceptions of the genre for younger audiences. An RSD 2018 special. Review: Matthew Halsall's Gondwana label is seeing a busy August what with the imprint flooding our jazz charts with reissues and, of course, new releases such as this wonderful collaborative effort from The Gondwana Orchestra and Dwight Trible. Trible's voice is like silk, running up and down the delicate waves of melodies from the collective, with "Colors" and "The Creator Has A Master Plan" both capable of making the toughest of audiences feel utterly uplifted. On the flip, "Love Is Everywhere" shines bright amid a flurry of flutes and intricate drum percussions, while "You've Got To Have Freedom" rides off a much smoother, deeper sort of vibe that's got a little funk at its core. Wicked. Review: Matthew Halsall is without doubt one of the brightest young talents in the British jazz scene. Since 2008, the man has been adding a fresh and playful tone to a very grounded musical genre, and at the same time carrying through the dynasty of jazz legends such as John Coltrane or Pharaoh Sanders. On The Go is his album from 2011, repressed this week by Gondwana Records, who have been very impressive since their first releases back in the mid 2000's, and the LP is one for the tasteful connoisseur. The mood is meditative and the air is smoky, where Halsall's trumpet travels gracefully across a space made up of striking piano solos, broken waves of drums, and an altogether peaceful sort of outlook. Review: Following 2014's When The World Was One, Halsall and the Gondwana collective continue their spiritual jazz adventure with another immaculate narrative. Now with much more vocal prowess, singer Josephine Oniyama plays a lead role in the story, adding consistency and personality to the Halsall's swooning, cinematic odysseys. Highlights include the Hathaway-style half spoken/half sung "Badder Weather", the frenetic double bass and brushed drum crescendos of "The Land Of", the (lark) ascending strings and oriental scales of "Cushendun" and the smoky, faraway Coltraneisms of the title track. Modern jazz doesn't get any more authentic than this. Review: Manchester's Gondwana Records, run by Matthew Halsall, has been a constant source of good vibes and inspiration. Leaning on a jazz note, most of the material is centred away from the dance floor and yet there is always plenty of movement and joyous rhythm, particularly from Halsall's appearances. Here, we have a reissue of 2015's "Journey In Satchidananda", a majestic wave of jazz flutes, seductive piano keys, in what is an altogether dreamy sort of setting, which is further evolved on the supremely euphoric waves of the unbeatable "Blue Nile". At last, some contemporary jazz on 12" that has left us blown away..! Review: As far as we know, Norwich has never been renowned as a hotbed of quality jazz. Norfolk trio Mammal Hands, then, could well be the city's greatest jazz export to date. They've already released three impressive albums in the last four years, and this fine EP will surely enhance their reputation further. The real killer is A-side "Becoming", a wonderfully positive, gently rising affair that sits somewhere between studious spiritual jazz and giddy, thrill-a-minute jazz-dance. That said, we're also enjoying the undulating horn lines, twinkling pianos and soft touch beats of "Refuge", not to mention the smoky, early morning lament of beguiling closing cut "Shimmer". Review: Gondwana Records is an Independent record label based in Manchester, UK. 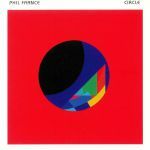 Founded by Matthew Halsall in 2008, the label has gone on to release music by Dwight Trible, John Ellis, Mammal Hands, Nat Birchall, Phil France and Portico Quartet. The label has won a legion of fans across the world and acclaim from the likes of tastemakers such as Gilles Peterson, DJ Shadow, Mr Scruff and Bonobo. Now they present Noya Rao, a Leeds based electronic-soul quartet. Purveyors of lush, enigmatic dreamscapes and grooving electronica, they're led by producer Tom Henry with vocalist Olivia Bhattacharjee, bassist Jim Wiltshire and drummer Matt Davies. Said to be influenced by the Sub Dub nights at Leeds West Indian Centre, it joins the dots between soul, pop, jazz, R&B and electronica. For fans of enigmatic dreamscapes and organic/danceable electronica: look no further. Review: Matthew Halsall founded Gondwana Records in 2008. An independent label based in Manchester, it's gone on to release music by Dwight Trible, GoGo Penguin, Nat Birchall and Halsall himself. The label has won acclaim across the world and can claim the likes of Gilles Peterson, Mr Scruff and Bonobo as fans. Next up are the Mercury Prize nominated Portico Quartet with their powerful new album Art In The Age Of Automation: where they're now rebooted as a quartet after a brief spell as the three-piece Portico. They have always been an impossible band to pin down; taking in aspects of jazz, electronica, ambient music and minimalism but the group have undoubtedly crafted their own singular sound. There's the dashing and cinematic bliss of "Objects To Place In A Tomb" and the hypnotic live drum and bass of "A Luminous Beam" amongst other highlights. Review: This has sort of taken us by surprise but, yes, here you are, a' new Portico Quartet album! The British outfit have grown and grown since their early releases back in 2006, seemingly ahead of their time at every turn, and a new release from them is always seen as a breath of fresh air around Juno HQ. Jack Wyllie, Duncan Bellamy, Milo Fitzpatrick and Keir Vine return to Matthew Halsall's Gondwana Records, out of Manchester, with the trippy, explorative sounds of Untitled (AITAOA #2). Jazz doesn't really describe it fully enough, and ambient is way too loose a word for this smart and complex medley of harmonies, but those are precisely the first things you hear when Portico Quartet hit you speakers. Plenty of rhythm, energy and even a little bit of dread go into making this an experience from start to finish. Recommended! Review: Since launching a few years back, Matthew Halsall's Gondwana Records has released some terrific albums from a string of talented but often little-known artists. This brilliant set is another. It comes from Hania Rani, a pianist, composer and producer better known for her collaborative work with the likes of Christian Loffler, Dobrawa Czocher and Hior Chronik. "Esja" is Rani's solo debut and sees her sashay between atmospheric, often poignant pieces that put her impeccable piano playing at the heart of the action. It's exceedingly elegant and picturesque, with Rani's subtle use of field recordings and crackling background noise only enhancing the listening experience.